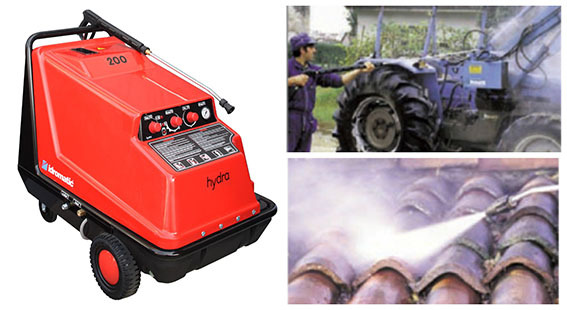 The mobile and electric driven and oil fired hot water pressure washer is perhaps the most popular machine on our hire fleet and is used for a variety of tasks. Available for; short term, mid term as well as traditional hire we also offer a long term hire. Short term, the hot water jet wash can be hired for example a one off cleaning task such as a factory clean up or spillage. Mid term, our hot water machines can be used for seasonal work or for where more than one jet wash is needed or shut downs where the machine isn’t powerful enough. Long term hire is especially suited to valeters and car cleaners, you can hire without being tied to a lease or finance package. Pressure washers are hired for a much reduced rate for 12, 24 and 36 months, the steam cleaners we have for hire are generally either lesser used, new or once used stock. Steam cleaners for hire are all serviced and company maintained before handover.